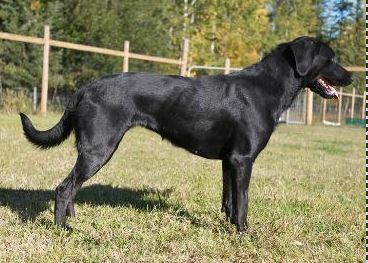 Shelby was bred and born at Lock Five Labradors in Lebanon, Tennessee. She is a full sibling to our big boy Chester, but 18 months younger. Shelby takes after her brother in many ways – she is very smart, easily motivated, and athletic with that terrific off-switch. She is SUPER fast, LOVES to work, and tries so hard to please. Shelby is the most honest dog I’ve ever met and she puts every ounce of her being into any task she is asked to do. 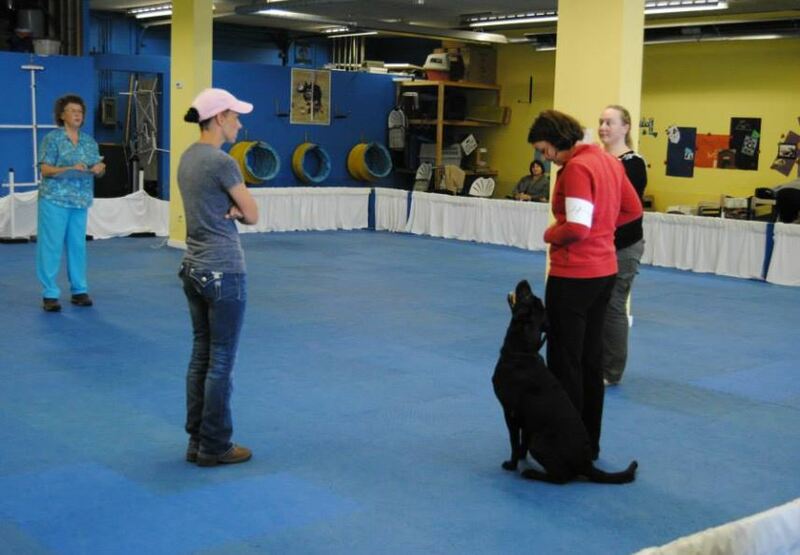 To date, Shelby has competed in rally-O, agility, and obedience (4 high in class and three high in trial awards). 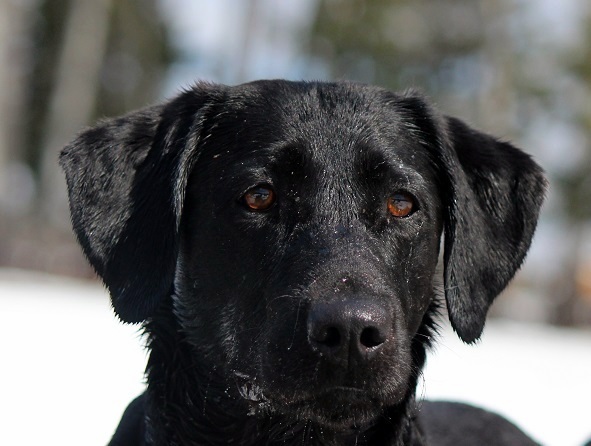 She is our first competition dock diving dog and is a terrific hunting dog. She is known in every venue for her drive, speed and precision- one of those rare dogs that simply excels at everything. 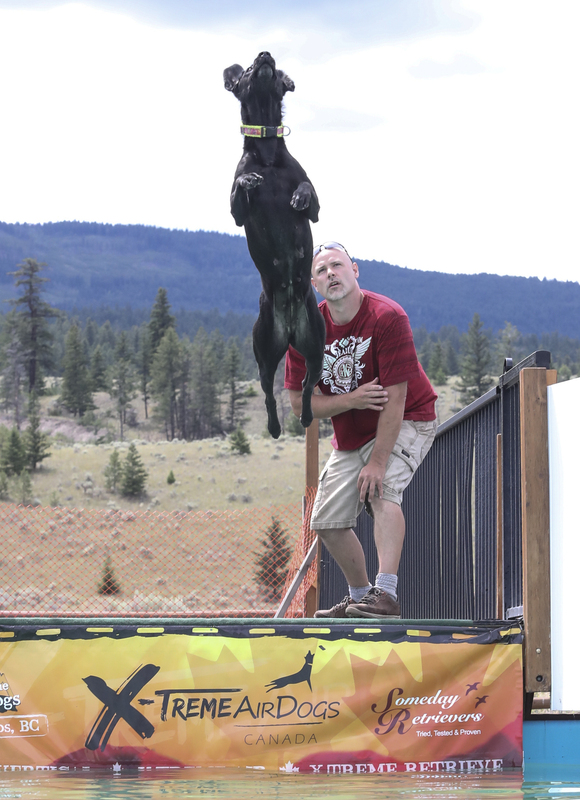 Shelby had a nearly year long absence from trials after a serious agility injury and resulting surgery, but made her return to competition in summer of 2015 in fine style by taking 1st place in the pro division at the Canadian X-treme Air Championship event with a monster 25’8″ jump. At her next competition the following spring, Shelby set a new Canadian record in the X-treme Air event with a jump of 27.1. Then, beat her own record again with a 27.3′ jump! In 2017, Shelby began competing in the Hi Jump and Xtreme Retrieve events. At the Canadian Championship, she tied the current hi-jump record (7’4″) and set a new record for points accumulated over all 3 events. Shelby has had three litters sired by Ruger who are turning out to be exceptional performance and family dogs- currently training and trialling in agility, obedience, hunt tests, dock diving, and search and rescue. 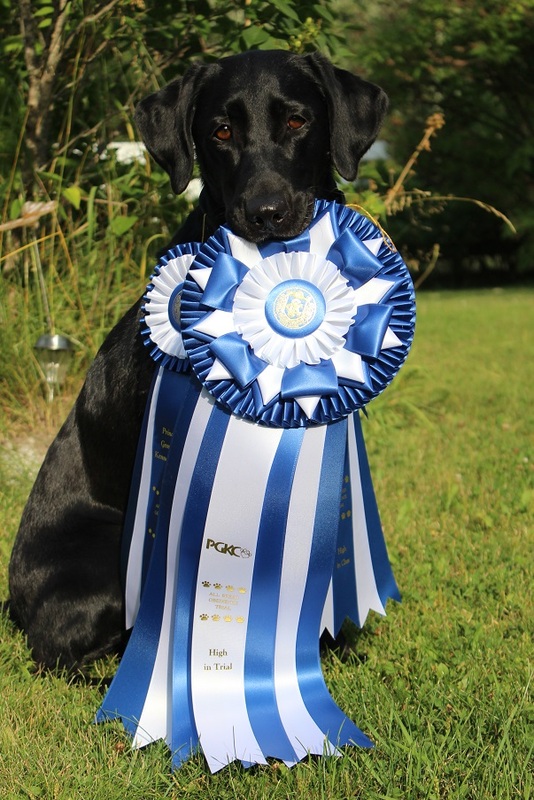 Three have already earned agility champions, one is a regional agility champion, and several others routinely continue to be ranked amongst the fastest (breed power score) and highest point (Agility Invitational ranking) labs. We co-own a daughter from her first litter with Martha Veatch from Canebrake Kennels in Kentucky and kept Pepper from Shelby’s last litter. 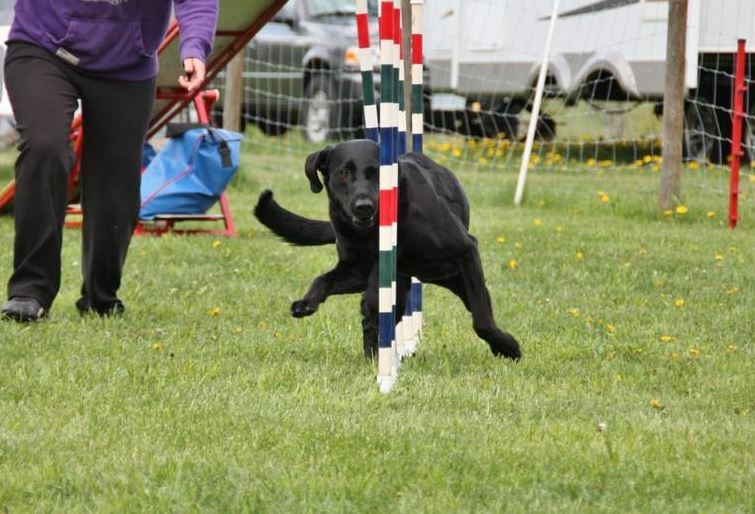 Shelby is now retired from breeding but will continue to compete in a variety of dog sports.